Although I have not been able to wear the vest on the course it seems to fit true to size. I bought this just to match an outfit i was going to wear in an outing. I wear this weekly when it's cool out. Looks good and fits great and keeps my core warm. Make sure you check sizing. My wife saw it and her first word was "sharp". A little snug but I should have looked at the sizing chart and bought off measurements not just my usual size. Still wearable. 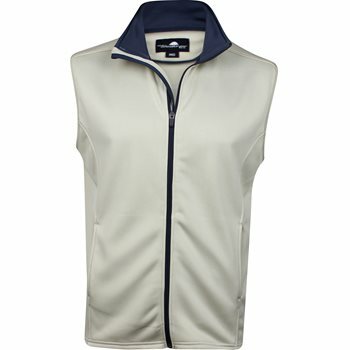 Awesome vest with pockets and a great fit as well.